With the staff and the facilities at EHLC, both members and casual visitors can feel healthier and happier. If you want to focus on you, your health and your fitness, the Endeavour Hills Leisure Centre is the place to be. 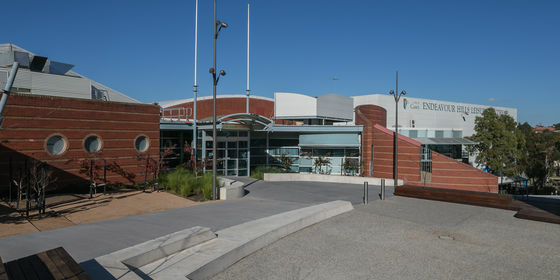 Owned by the City of Casey, and located right near the Endeavour Hills Shopping Centre, the Centre is managed by YMCA Victoria. The facilities on offer are vast and we cater for people of all ages and all levels of fitness. Location: Convenient location: at 10 Raymond McMahond Boulevard, Endeavour Hills. Next door to the Library and Endeavour Hills Shopping Centre. Free parking available. Accessibility: Endeavour Hills Leisure Centre is well equipped to cater for people of all abilities including ramp access to the centre and within the facility to the group fitness hall. Our friendly team are highly qualified and they have the experience to help you reach your training goals – whatever they may be. Our staff know that they are there for you.